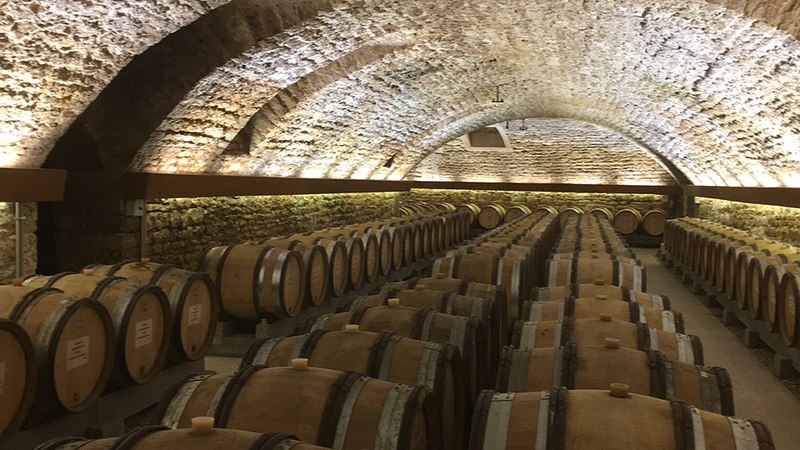 After sampling finished 2016s from several dozen of the best growers and négociants on the Côte de Beaune, it’s hard not to arrive at the same conclusion I’ve often expressed about Burgundy wines in general: the more you know, the less you understand. Vintage generalizations about the 2016 whites are virtually worthless, as the wines range dramatically in aromatic character, ripeness, texture, concentration and balance – in most cases owing, directly or indirectly, to the deadly frost event on the night of April 26/27. But it’s also a vintage well worth due diligence on the part of Burgundy lovers, as the better wines are precise, fresh and classic. Overall production was sharply lower than normal, so the wines will also require serious effort to hunt down. I offered a detailed description of the 2016 growing season in my original coverage of these wines from barrel last year (September 2017). Here’s a slightly shorter version. Burgundy’s winter featured the warmest December-through-February period in over a century. January and February were unusually wet as well, as was the entire first half of the calendar year. After cooler weather through most of March, a warmup at the end of the month and into April triggered an early budburst, which in turn left the first set of buds and new leaves particularly vulnerable to the terrible frost of the night of April 26. As I described last year, that evening had brought humidity and rain, and frigid air flowing in from the west through the Côte d’Or’s numerous combes, in conjunction with brilliant sunshine the following morning, resulted in widespread destruction. The sun acted like a magnifying glass on the ice-encrusted young buds, essentially exploding the buds in the most-affected areas. In most years, well-aerated hillside vineyards are less affected by frost, as the coldest air typically slides down the slopes and settles in lower, flatter spots, which are also more water-retentive and thus more humid and vulnerable to freezing of the leaves and buds. 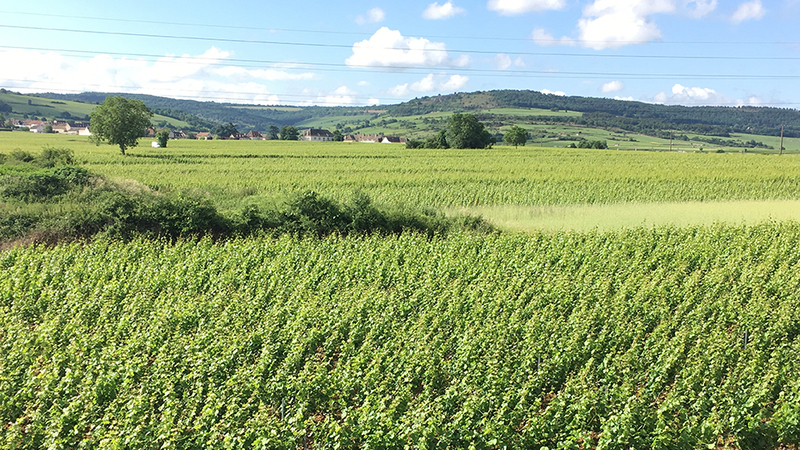 But the east-facing hillsides, which include many of the Côte de Beaune’s most prized crus, along with Montrachet, were the first to be targeted by the rising sun. Chassagne-Montrachet was an epicenter for frost damage, but the southernmost climats in Chassagne and especially Santenay were largely spared, as this section was partly protected by mist from the bright early-morning sunshine that burned the buds just to the north. While the grand crus of Puligny-Montrachet and some of its premier crus were also affected, higher sites like Folatières, Truffière and La Garenne mostly escaped damage and produced good quantities of fruit. (Overall, among the Côte de Beaune’s most important villages, Puligny-Montrachet was far less affected than either Chassagne-Montrachet or Meursault.) The northern part of Meursault suffered significantly from the frost but the southern half of the appellation, particularly the strip of the village’s top premier crus Les Perrières, Les Genevrières and Les Charmes, mostly got off with a warning. And farther to the north, much of Beaune and Savigny-lès-Beaune also suffered due to their exposure to cold air flowing in through the Combe du Rhoin. West-facing vineyards in Pernand-Vergelesses were especially vulnerable to the freezing air on the morning of the 27th, while the east-facing slope of the Corton hill was protected. Ultimately, it was a devastating frost without logic or consistency, and its effects often ranged dramatically within fairly small areas, thus ensuring a complicated summer in the vines from the outset. The frost shock was followed by nearly two months of gloomy, wet weather. That period, in conjunction with the very warm winter that went by without bringing a hard freeze to slow the spread of vineyard viruses, kill funguses and reduce the year’s population of destructive insects, triggered a vicious outbreak of both powdery and downy mildew, but the vineyards remained too water-logged to allow growers to bring in any heavy machinery. (Foliage weakened by the frost was particularly vulnerable to mildew.) Growers were forced to don moon suits to spray their affected vines repeatedly and in a timely fashion through May and June and well into July. The flowering was very late and somewhat drawn out, taking place during the second half of June (earlier in vineyards that had been little affected by the frost but considerably later for frosted vines that eventually sprouted a second set of buds, or contre-bourgeons). 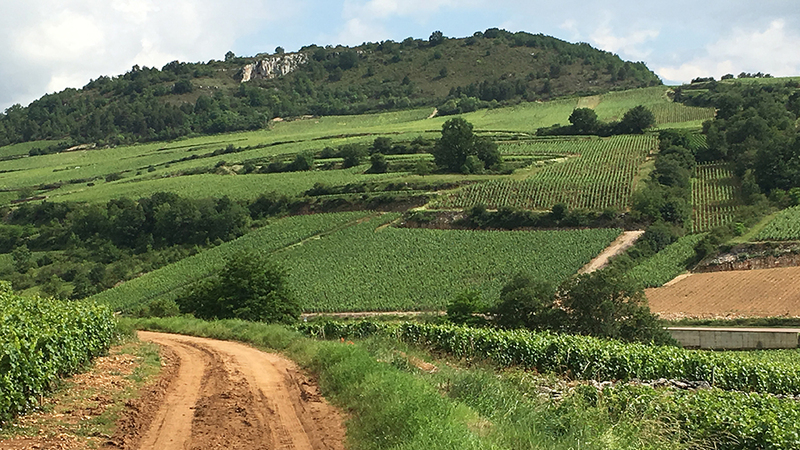 Fortunately, the second half of the growing season was dramatically better, with the exception of a bit of localized hail on July 14 that had some impact on vineyards in Chassagne-Montrachet. Following a sharp heat spike in early July, warm and dry weather settled in by the middle of the month, essentially ending mildew pressures, and lasted well into September. The second half of August was especially hot, resulting in a blockage of maturity, or even grillure (grapes burned by sun), in some sites. But grape sugars were moving up quickly in the final week of the month and were further stimulated by a bit of refreshing rainfall at the beginning of September. A week featuring more significant precipitation and somewhat cooler temperatures beginning on September 11 (some producers reported heavy rainfall on September 15) slowed further uptake of sugar, and acidity levels in the grapes often leveled off after having steadily declined during the warm weather in late August and the first part of September. The first Chardonnay harvested on the Côte de Beaune began around September 17, especially those who had tiny crops of first-generation grapes that were ripening very quickly, but most began between the 20th and 24th. Some growers claimed that the mid-September rainfall was constructive for the balance of the grapes, while others thought it resulted in some dilution of acidity and potential alcohol. If the 2015 white Burgundies can be said to be strongly marked by their vintage character (sunny, hot and very dry), so can the ‘16s from vineyards that were significantly affected by frost. But for wines that largely escaped, 2016 is a vintage of terroir over vintage, and thus may well be preferred to 2015 by veteran Burgundy aficionados. Patterns of frost damage – as well as their ultimate effect on the year’s crop – were extremely erratic and unpredictable. Some vineyards essentially lost their entire set of primary buds. If the contre-bourgeons (the typically less-productive second set of buds that often develop if the primary buds have been destroyed) appeared, they could produce small quantities of wine, although these grapes would require favorable summer conditions and a later harvest to ripen properly, as the second buds in ’16 appeared as much as three weeks later than the first generation. If there was no second generation of grapes owing to the shock to the vines from frost, then there would be no production. Of course, if there was a small first generation but no second set of buds, the tiny crop typically ripened very quickly, achieving higher levels of potential alcohol by the time the harvest got underway. Many vineyards were carrying a combination of first- and second-generation fruit and thus growers faced the challenging decision of when to pick. Some chose an “average” point, when the secondary buds had passed the obviously green stage but the first buds had not yet gotten overripe. These growers typically maintained that the nearly ideal weather conditions during the second half of the season allowed the second-generation fruit to narrow the ripeness gap. But in some cases, where much of the first set of buds was destroyed and a second set of buds did not appear, premier crus weren’t even made, with growers making the decision to declassify their tiny quantities of grapes; in other instances, two or more tiny premier cru lots were assembled into a single premier cru bottling. And of course the serious mildew issues introduced another variable in 2016, although this damage is harder to quantify and to describe. It could cost fruit in some spots, but by damaging the leaves it could also have a significant if less immediately obvious effect on the ripening process. While many of the growers I visited in Burgundy this spring mentioned the severe outbreak of mildew in ’16, with some saying that it further reduced their ultimate production, most maintained that, in their crus at least, they were able to keep the upper hand through repeated spraying. The grapes in many vineyards struggled to ripen completely, including sites where crop levels were full. After all, the flowering had been very late, so the period leading up to the harvest was in mid-September (as opposed to late August in vintages like 2017 and 2015), when days are getting shorter. For vines that generated a second, significantly later set of buds, it was only because the summer turned consistently warm, and the quantity of second-generation fruit was so small, that these latter grapes had any chance to ripen. In the end, grape sugars in 2016 were roughly average by recent standards – in most cases between the high 11s and 13% – and somewhat lower than the 2015s, which began at 12.5% at numerous addresses. Acidity levels were variable: typically sound when the fruit was picked expeditiously or contained a sizable percentage of second-generation grapes, but sometimes on the soft side when crop levels were tiny or the grapes were harvested later than optimum. As there was very little malic acidity remaining in the grapes after the hot summer weather, the balance of the wines did not change significantly during the secondary fermentations. Yields varied drastically from vineyard to vineyard and even within vineyards. And the yield figures provided by producers do not necessarily track the density or intensity of specific wines: for example, freakishly low yield numbers may mask the fact that half of a vineyard was totally frosted while the other half carried a normal crop of grapes. Just as important a variable in 2016 is the ripeness and balance of the wines: were they made from a small quantity of first-generation grapes that ripened well, or largely from the contre-bourgeons that still had an element of underripeness when they were picked – or a combination of the two? Some growers told me that they did not use fruit from secondary buds, or that there wasn’t any second-generation fruit in the first place, while others admitted that this fruit comprised a significant percentage of certain of their wines; these latter growers typically maintained that they were able to pick it late enough for it to have ripened reasonably. The better ‘16s – and there are many of them well worth your interest – are vibrant, precise and firmly built, with the extract and energy to support graceful evolution in bottle. I suspect that most of the best of these wines are from reasonable or lower-than-average crop levels of first-generation grapes. Many ‘16s come across as a bit soft and lacking in acidity and grip, and these wines, some of which also lack concentration or show rather tropical aromas, are likely to be more useful for early drinking than as cellar candidates. Wines from vineyards that were essentially unaffected by the late-April frost can be pliant and generous, with normally attractive balance and a classic range of orchard and stone fruits, flowers and minerals. But the effects of frost can manifest themselves in subtle ways. Last year I wrote that the differences between wines made from frosted and non-frosted vineyards were not always easy to see, and that many winemakers shared this view. Now that I’ve had the chance to taste hundreds of these wines in their finished form, I would only add that 2016 is a vintage for which you would be well advised to take advantage of tasting notes from critics you have come to trust. When some primary buds survived and the contre-bourgeons did not appear, the small amount of remaining fruit could reach good phenolic ripeness and the resulting wines can be both highly concentrated and well balanced. But when second-generation grapes went into the wines, this fruit was typically less ripe, in terms of both grape sugars and phenolics, and the resulting wines can manifest this quality in a number of ways. The combination of smaller grapes with a high ratio of skin to juice and skins that were not completely ripe in many instances resulted in an element of tartness or even bitterness. Other wines struck me as a bit rigid and unlikely ever to truly blossom in the bottle. And numerous ‘16s finish either noticeably tannic or hard-edged. Too much extraction during fermentation in some cases exacerbated the wines’ skin character, although most producers I visited made it clear that they were careful with both extraction and use of new oak in 2016. Happily, there was little in the way of rot in 2016, so that is at least one potential time bomb that should not be a factor in the ageability of these wines. I think of the 2016s as more classic and transparent to terroir than the more opulent and sometimes massive ‘15s, but as you can see, it’s remarkably hard to generalize about the ‘16s, even within a given cellar. As a rule, I prefer the style of the ‘16s to the larger-scaled but less delineated ‘15s. But, with few exceptions, the 2016s do not possess the adamant salty minerality, density and thrust of the ‘14s, even if casual drinkers may get more enjoyment out of the newer crop of wines over the next several years. 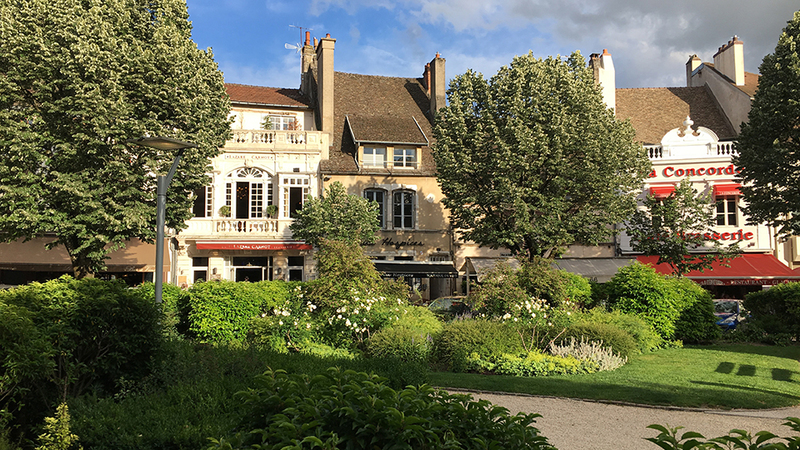 Most of the wines in this article were tasted in Burgundy at the end of May and early June, but I sampled (and retasted) many more wines in New York in August and early September.